Digital marketing is data-driven and analyzing digital data is how a company optimizes its efforts. But what happens when the data you want is mixed in with a bunch of garbage data? The quick answer is that you get bad, untrustworthy metrics. The long answer is much more enlightening when it comes to common lead generation methods. The problem stems from lead capture habits that cause a ripple effect throughout all of your sales efforts and muck up your metrics. One time I was at an event, and a woman came running up to me and said, “Can I scan your badge and you could win a drone?” I had no idea what she was selling, or who she worked for but, I said, "Sure, why not?” She then looked down at my badge, frowned and said, “Sorry, your badge isn’t the right color.” Then she left, never telling me anything about her company or the product. This is a perfect example of how the businesses care about growing their contact database and will go to any length to add more names, never thinking “is this the right person?” This is extremely tempting because who doesn’t want more leads? However, by pushing this goal to the top of the list, sales and event reps end up capturing a lot of worthless data from uninterested people. Another example: a big sign that read, "Drop in Your Business Card to Win a Free Lunch!" First of all, there’s no mention of what product is being sold! Second, the contact information captured is worthless and without context on both sides. For example, you might now have over 100 leads that won’t remember giving you their business card and think you’re cold calling them. On the flip side, you have no idea if they’re worth your time and effort and now your metrics are reflecting a lower ROI due to all these no-context leads that only wanted a free lunch and have no interest or need for your product. We need to avoid a mindset of quantity over quality when it comes to lead capture, otherwise, we get a lot of dead ends and wasted resources. Taking the time to talk to people, discover their pain points and explain your product will yield far better results than simply collecting faceless, no-context information. Find ways that not only encourage people to give out their contact information but engage with your brand as well. Say you capture 100 leads and have a 10% success rate from talking to people, identifying their pain points and introducing your solution then following up accordingly. Now, let’s say you add in another 900 business cards from people trying to win a free lunch or drone, well, now your data is showing you have a much lower success rate. What people forget is the ripple effect of adding bad data and focusing on the wrong performance metrics. Your performance metrics declined by 9X when you added the 900 leads. Your marketers now are potentially alienating these 900 people as they don't know why you're contacting them with a generic message and you are wasting valuable telesales resources by dialing them for money. By adding garbage, you completely skew your data and have no idea what your true ROI actually is at the end of the day. With all that garbage you’ve lost money and time that could have been spent making more money. The truth is, leads that are only interested in whatever swag you’re offering never turn into sales. Swag is just an attractor, and it’s useful if it gets people to sign up for a demo or to participate in something. An example could be a trivia contest built about your product and brand. In these trivia questions patrons can learn more about your product and win prizes. An engaged activity will be far more helpful than giving away a free lunch or flashy toy in exchange for a business card. Now, when you follow up, they remember participating in your game and what you’re selling. Everyone that works in sales knows that latency is bad, but our current systems and processes have built-in latency. This break of inactivity causes missed opportunities. Even rented business card scanners don’t solve the problem because the information still needs to be manually uploaded into a CRM system. Sales reps work their butts off at events and can collect thousands of leads but due to latency issues, too much time passes and leads forget all about you. Even worse is when a very interested party gets dumped into a standard nurture bucket and they move on because so much time has passed. That’s why it’s so important to have a tool that can scan badge and/or business cards and sync immediately with your Marketing Automation or CRM solution, letting you nurture leads in near real time. 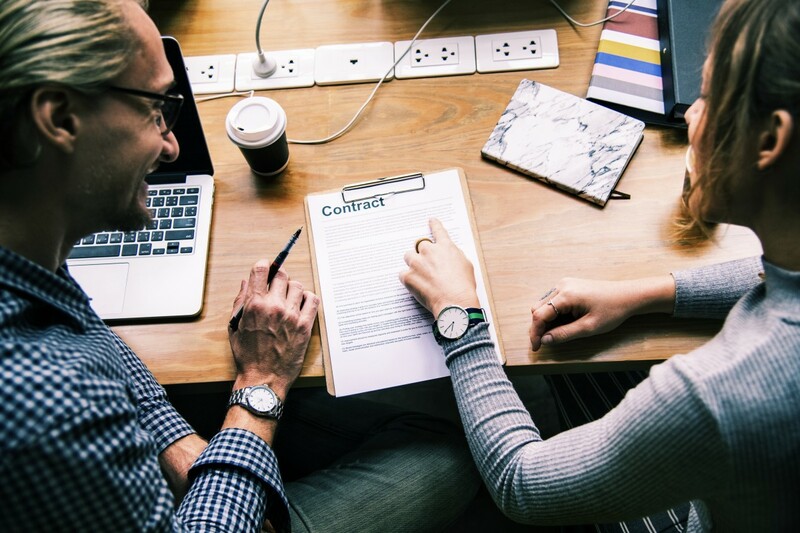 If you’re on the lookout for a solution that can help turn contacts into contracts, see what atEvent can do for you. No matter how much money a company puts into its events budget, it won’t get better unless we rework our methods. Don’t waste your critical resources by using a one-size-fits-all approach. With most businesses spending 25%+ of their marketing budget on events, they should really consider these actions and their ripple effects on ROI. It’s important to personalize how you engage with the right people, then optimize resources so you can follow up on the hottest leads first, and intelligently nurture the rest. If you’re rethinking your lead capture approach, contact us for a free demo. And if you’re looking to make the most of your next event, check out our article on the 5 must-know tactics to drive more sales-ready leads from events.